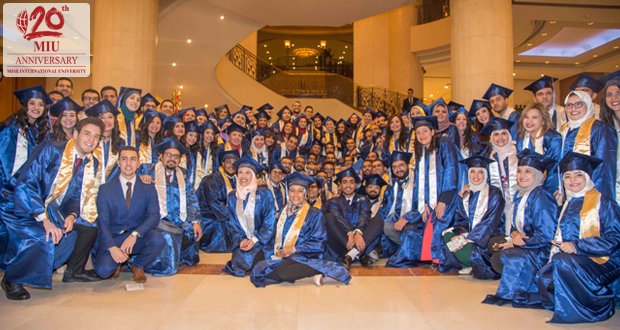 Misr International University celebrated its 17th graduation ceremony on December 7, 12 and 13, 2016 at Intercontinental City Stars Hotel. The joint commencement of the Faculties of Oral & Dental Medicine and Computer Science was held on December 7, the Faculties of Pharmacy and Engineering commencement were on December 12 and the joint commencement of Business Administration and International Trade, Mass Communication & Al-Alsun Faculties was held on December 13. 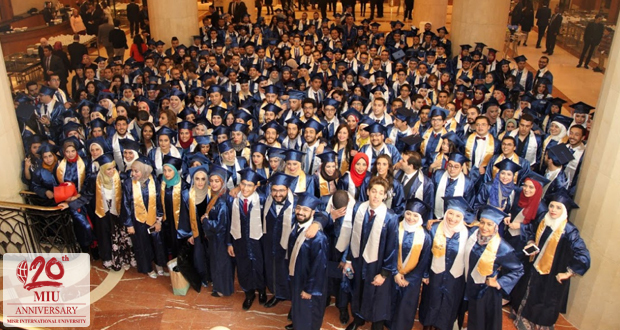 Misr International University graduated 1,284 highly capable graduates this year who are ready to enter the workforce. Over the past 20 years, MIU has graduated more than 11,500 graduates from different faculties like Mass Communication and Al-Alsun, Engineering Sciences and Arts, Business Administration and International Trade, Pharmacy, Computer Science, and Oral & Dental Medicine. The ceremony was under the auspices of Mr. Mohamed Hussein El Rashidy, the President of the Board of Trustees, Professor Mohamed Shebl El Komy, the President of Misr International University, in addition to the presence of the faculties’ Deans and Professors. In addition, MIU takes pride in its students who are always exhibiting their unlimited talents and encourages them to shine. The talented photographers Sherief Akram, Moustafa Adel and Koushi covered the ceremony and captured various great shots.